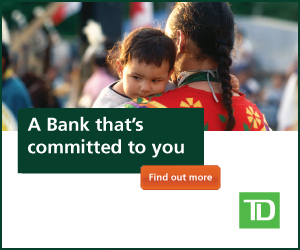 Aboriginal organizations are more likely to be targeted by fraudulent operators than other Canadian organizations, suffering heavy financial losses as well as hits to their reputation and community spirit. Dozens of fraud cases are being investigated by forensic accountants for First Nations communities in remote and urban settings across the country. The cases range from unfinished housing and energy projects to swindles in economic development and tourism schemes. To prevent your organization and community from falling prey to fraudsters, it’s important to integrate due diligence, strong financial controls, and stringent legal contracts. The first step to prevention, however, is understanding what fraud is and what exposes your organization to fraud. Fraud is defined as any intentional or deliberate act to deprive another of property or money by guile, deception, or other unfair means. Unfair means include false or misleading documents, deceptive behaviour, manipulating information, falsified financial reporting, and kickbacks. Fraud is committed by a person in a position of trust. Criminals target First Nations because of a number of myths and realities that can make communities vulnerable. For example, many believe First Nations have access to lots of government money, and that their financial controls aren’t stringent enough to catch fraud until it’s too late. Remote communities are seen as easy prey because of a perceived lack of choice when hiring contrac-tors and vendors. They are also deemed as not being sophisticated enough to insist on tailored legal agreements with specific terms and conditions. In 2014, Lisa Majeau Gordon, a forensic accountant and partner with accounting and consulting firm MNP, was contacted by an Aboriginal organization to look over a contract by a land developer. The person in question had provided a professional resumé and detailed project summaries of significant development work he supposedly had completed. It didn’t take long for Majeau Gordon to determine the land developer’s experience, qualifications, and most details of his resumé were false. He also had been sued for breach of contract, negligence, and fraud multiple times in recent years by organizations who had done business with him. The incident underscores the importance of conducting due diligence reviews through independent agents on any company or person before signing a contract. You also want to check all references and all public sources of information on the company, including lawsuit databases, asset searches, bankruptcy databases, corporate registry, etc. Colleen Verville, litigation partner at Dentons LLP, was contacted by an Aboriginal organization client who thought they had entered into two separate fixed-term construction contracts to refurbish a commercial property roof and to renovate a hotel and restaurant. One contractor, a friend of one of the managers overseeing the projects, was hired for both projects. The contractor convinced the organization to sign two generic contracts and discouraged them from obtaining legal counsel. One-and-a-half years later, the organization’s new manager discovered it had been invoiced and paid more than $3 million for work which had not been completed. The organization also was being sued by subcontractors who had not been paid by the “trusted” contractor. Always have the right lawyers and accountants, who represent you only. Examine contracts before you sign them. Contracts and plans must be tailored to each project. This is particularly important to First Nations, as funders have different requirements which must be met in your plans and contracts. Treat your project like a project, not like a social program. Having skilled and experienced management, foremen, and labour is critical to completing a project successfully. Fully define, review, and manage the project targets. Conduct regular team meetings, and maintain accountability for each member. Know your budget, line-by-line. Monitor all invoices and expenditures, and demand answers when budgets/quotes are exceeded. Establish separate bank accounts and accounting for your project. Here is an example of misplaced trust: A First Nation approached MNP to conduct an investigation after a housing project for elderly couples on the reserve went awry. The Nation had borrowed $3.5 million to build 40 homes, with the understanding each unit would be built from pre-packaged plans and constructed on-site. Although the money was spent, nothing was built, and the materials brought in for the project were left outside, unattended to and uncovered, to rust and rot over the winter.